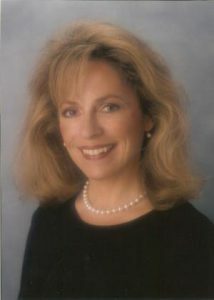 Patricia “Patty” Garbarino is a ground-breaking national leader in her field and in the community. Patty has blazed new trails in a heretofore male-dominated industry serving as president of Marin Sanitary Service, Marin Recycling Center and Marin Resource Recovery Center, and continued that trail blazing as the first woman president of the California Refuse Recycling Council. Her background in the education field has been a major benefit to Marin Sanitary Service’s Public Education Program. In fact, Patty worked closely with her father, Joseph, in establishing the company’s Environmental Classroom and its ongoing outreach to environmental organizations and public and private schools in Marin County. Today, Patty is responsible for policy development and implementation and the overall management and oversight of the operations of the company. In addition to her administrative and management responsibilities, Patty remains directly involved in all aspects of the company’s governmental and community relations as well as the Public Education Program. Marin Sanitary Service, Marin Recycling Center and Marin Resource Recovery Center have been lauded by the California Integrated Waste Management Board as having the highest recycling rate in California since 2002 and the Marin County Board of Supervisors rated Marin Sanitary Service, business of the year in 2006. In 2014, Marin Sanitary Service was honored with the Leaders of the North Bay “Paint the Town Green” environmental achievement award. Patty has spoken at several national conferences regarding waste and recycling issues, including Bio-Cycle, San Diego; CRRC Next Generation Program, Coordinator and Instructor; and XI International Waste Management & Landfill Symposium in Sardinia, Italy. She is a frequent speaker at conferences on leadership and business practices. Her leadership extends far beyond her profession. Patty has been recognized for her civic and community contributions, including being inducted into the Marin Women’s Hall of Fame, honored with a Women in Business Award for Environmental Service; and Citizen of the Year by the City of San Rafael. Patty currently sits on the Marin County Office of Education Board, served two terms and was chair twice of the Marin County Planning Commission, and chaired six school parcel tax and bond measures over 20 years. Beyond that, she has served on the MARC (Marin Association of Retarded Citizens) Board for over three decades, serving twice as Board Chair. She also served on the Marin Conservation League board for almost a decade. Patty Garbarino is an exemplary model for Profiles in Leadership, demonstrating leadership in all aspects of her life. She has shown courage, determination, grace and passion in all that she does. As an educator, businessperson, environmentalist and civic activist, Patty has lead the North Bay to be a better place to live and work.